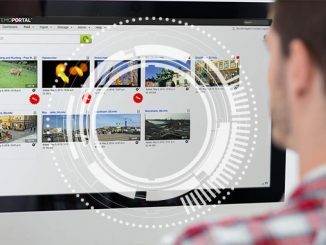 With the seamless integration of GV STRATUS® with Telestream Vantage, users of both systems no longer need to access two different user interfaces to perform production and transcoding operations. GV STRATUS® is a video production, asset management and content management system from Grass Valley®, a Belden Brand. And Vantage is a scalable, software-enabled platform capable of rapidly transcoding and transforming media from disparate sources. 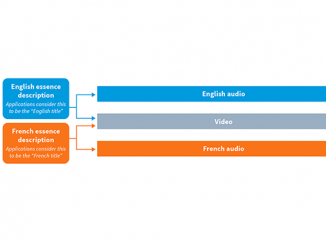 By combining these two systems into a flexible, streamlined workflow, media and entertainment organizations can better manage the processing and transcoding of their media-rich content for multiple digital platform delivery. Instead of watched folders, this integration is based on RESTFul API calls that enable transcoding profiles to be set up within Vantage, and then quickly applied to the GV STRATUS production workflow. Users can request workflows by modifying clip properties or sending transcode requests from GV STRATUS to Telestream Vantage. 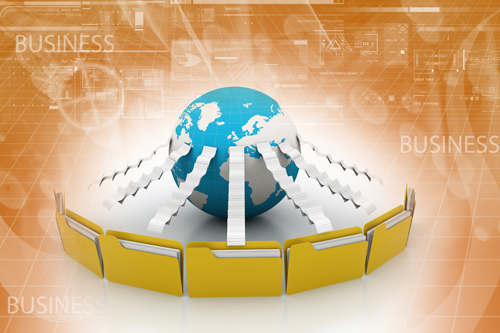 Users can also add metadata, segment their assets, and automatically prepare and publish them to an external FTP location. 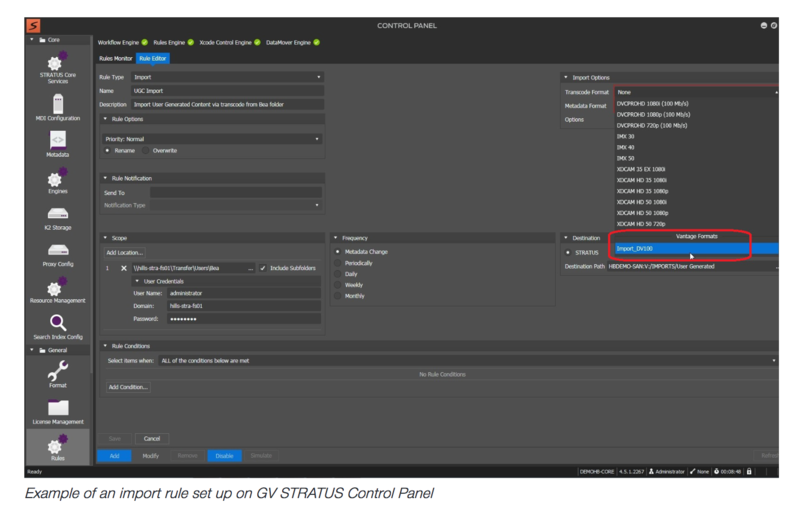 And they can create GV STRATUS workflow rules with different requirements to transcode upon import or export of media. These rules are fully flexible and user-configurable and multiple rules can be set up for different profiles. 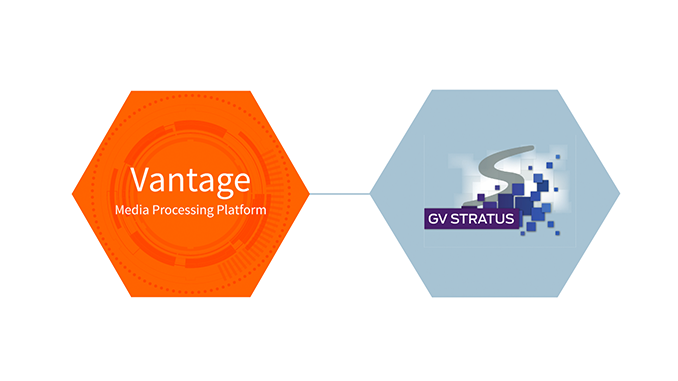 When performing a file import from an external file location, GV STRATUS will first employ Vantage for any necessary media transcoding prior to importing it to (Grass Valley) K2 production storage. 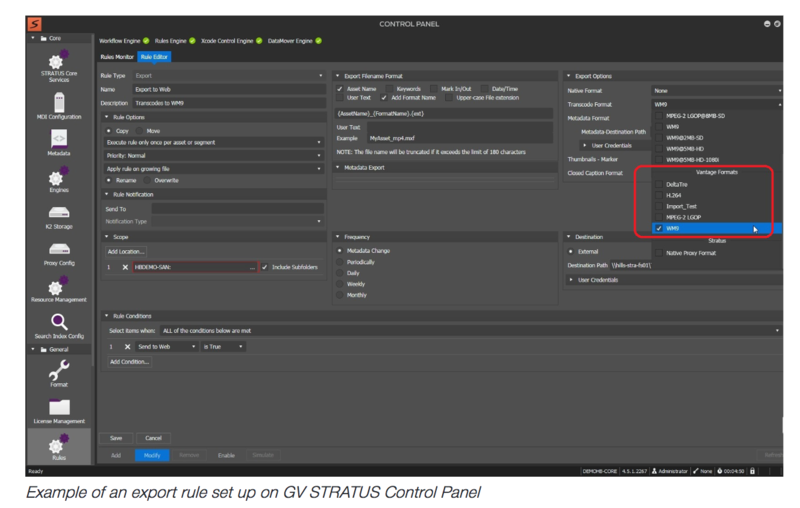 For example, an import rule can be set up on the GV STRATUS control panel to transcode media to DV100 before importing it to K2 storage. When exporting a file from K2 production storage, GV STRATUS also deploys Vantage to transcode the media before exporting it to an external destination. One of Grass Valley’s current customers — a live sports production facility — uses this integrated GV STRATUS/Vantage solution to automatically send edited sports packages to their webpage and YouTube channel. 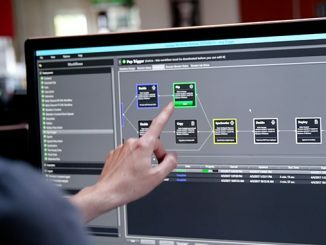 According to the workflow rules, as editors finish daily editing using the Grass Valley EDIUS nonlinear editor, the final edited packages are automatically sent to Vantage at 2:00am each morning. From there, the packages are transcoded into different formats and exported to the appropriate file destination so that the Content Management System can upload them to the website and YouTube channels. This entire workflow—based on the integration of GV STRATUS with Telestream Vantage—is fully automatic and transparent to the user, and no hands-on, manual touch points are required to initiate, process or deliver the high value media files to their target destinations. Learn more by visiting Telestream’s website, www.telestream.net, email us at info@telestream.net or phone 1-530-470-1300. And for more on Grass Valley products, visit www.grassvalley.com or contact Grass Valley USA Sales at +1 530 265 1000.